If you are at all familiar with sports, you know that it truly is an international language. Every culture and country seems to value and enjoy sports in various forms. Brazil, of course, is no exception, with it’s primary love being soccer. In September of 2013, our community in Birmingham sent a team of three men down to encourage and see what God was doing in this region of the Jungle. 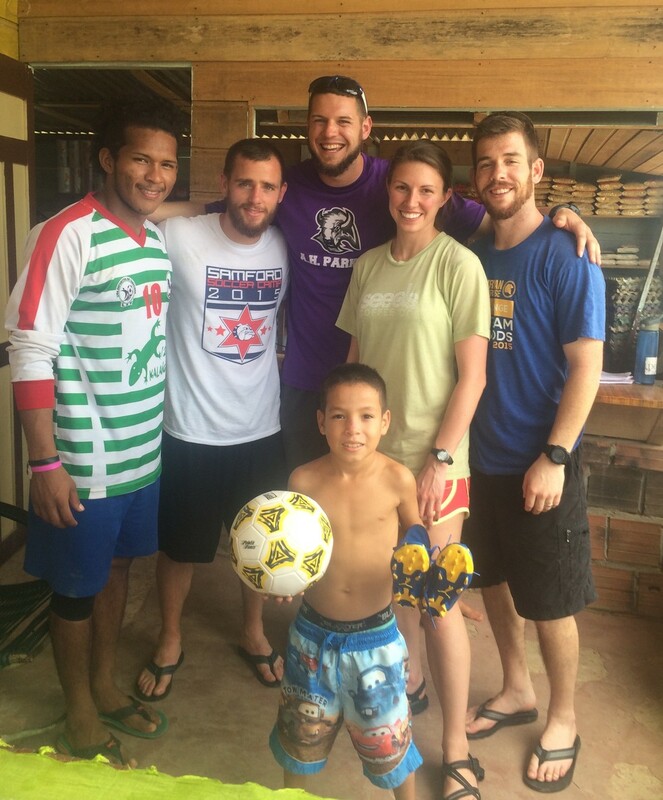 It was on that trip that we met Boboco and immediately saw his passion for sports and it’s potential for furthering the Gospel. After a couple of years of dreaming, praying, and planning, we reconnected in February 2016 and launched “Jovens Talentosos” (Talented Youth), a soccer training ministry with the goal of empowering young boys to become disciplined, motivated, and loving men of God. Recognizing that his brother Pepeco‘s strengths were geared more towards the discipleship side of the ministry, Boboco teamed up with him and they both work to train and mentor youth in their hometown.